Matched betting (also known as lay bet matching or double bets) is a technique used to profit from bookmakers, where two bookmakers are pitted against each other when their predicted outcomes vary greatly, where (regardless of the outcome or who wins) the bеttor is guaranteed at least some profit. A typical return for a matched bet where the stake is returned is 85%+ of the free bet offer amount, and 70%+ where the stake is not returned. Most free bets are stake not returned. Matched Betting is a technique used to eliminate the risk associated with gambling in order make guaranteed profits no matter what the outcome of an event. The concept teaches you how to take both sides of the trade in order to qualify for free bets and bonuses which in return unlock a sustainable way to make money online. For example, let’s imagine a football event between Team A vs Team B, where we covered all outcomes of Team A to win/lose or draw and regardless of the end result we make cash every time. Sounds good? Let’s break this down a little more below. Matched Betting has been proven by trusted sources such as The Guardian, and The Telegraph as a great way to earn guaranteed profits- if you learn how. Sustainable profit opportunities 365 days a year. Including Christmas day! Tax-free profit. Whether you earn just £500 or £50,000 all your profits are tax-free. 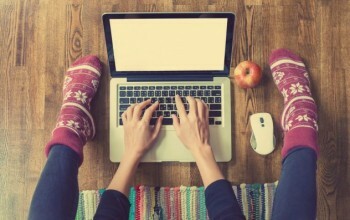 Flexible learning and earning. Get involved in your spare time, matched betting works around you. 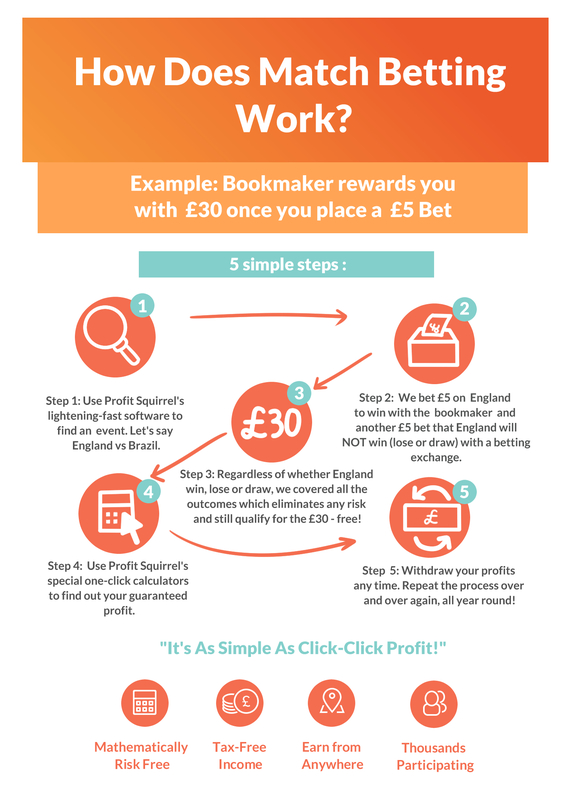 The method to matched betting was once quite difficult to understand and the success rates were not very high. Thanks to Profit Squirrel, everyone can enjoy making money online in their spare time with ease! You don’t need any pre-qualifications or experience, in fact, you don’t need to know anything about sports, just follow Profit Squirrel’s step-by-step video tutorials to learn a new skill and earn your first £20 profit; risk-free and tax-free in under 60 minutes. Now, let's break down a real life example where Ladbrokes are currently offering you £50 as a free bet once you place a £50 bet with them. There are two steps to unlocking your risk-free profit. 1. Placing your qualifying Matched-bet to qualify for the £50 free bet. 2. Creating a Match using your £50 free bet. Step 1. Qualifying Matched Bet. Top Tip: Any Match Rating around 90 to 100 is a really good Match. As you can see in the preview above, we have found an event with a Match Rating of 95 which is ideal! Profit Squirrel's odds matching software shows what exactly we will be backing and laying. In this example, we are backing at odds of 3.60 and laying at odds of 3.65 that the event will end in a Draw. Remember, we're backing for a draw with the bookmaker and laying (meaning it will NOT end in a draw) with the betting exchange. Next, we use Profit Squirrel's Odds Calculator to find out how much money we need to lay in order to cover our risk and protect ourselves from whatever the outcome may be from the event between Ajax v Manchester United. Plug in the following numbers into the calculator and let it eliminate the risk associated with gambling. (We'll explain what commission is in the Profit Squirrel member's area). As you can see below, we need to place a £50 lay bet in order to hedge our risk. As a result, we made a very tiny loss of -£2.50. This is known as the Qualifying Loss (a loss made in order to qualify for free bets and bonuses). 2. Use the odds calculator to unlock our profits. We found a good Match on the following horse racing event at Brighton 19:15 pm. Where we back any lay a horse called "New World Power." Finally, we enter the free bet stake into the odds calculator to find out our risk-free profit from the free bet (see below).